What would happen if one day, near the source of the River Tor, the Susqueda Dam started to develop cracks? Where would the water rise to if the millions of cubic meters, the largest internal reservoir, broke through the concrete? With the imminent threat of collapse, would there be time to evacuate the affected populations? Oriol Rovira, a half-retired journalist in crisis, will devote a blog to this madcap scenario and will stress the truth of this imminent danger against the calm the official sources try to use to examine what is taking place. In this stirring and intense novel, Miquel Fañanàs guides us through the consequences of a localized earthquake close to Amer that will cause the dam to crack and will lead to a catastrophic flood. 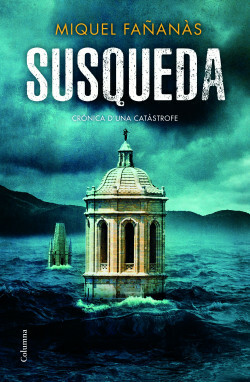 What would happen if the dam of Susqueda broke?